Why would you need an Italy Travel Consultant to help on your Italy trip planning? If yes, then using my Italy Travel Consultant service and getting help from an Italy expert could save you a lot of time and headaches. Yes, that’s me, on San Miniato terrace, which enjoys the best Florence view – did you know it? You will get a personalized travel itinerary including accommodations, tour guides, transfers, walking tours, food and wine tours and more. Your dream trip to Italy will be 100% tailored to your interest, tastes and personal requirements. It will let you discover destinations and live experiences you would hardly find without local knowledge. Fill your Italy trip form HERE, and I will provide you with FREE initial advice and recommendations! Easy! You use the form below to tell me the size of your party, your arrival and departing dates, which places you would like to visit (if you already know! ), your daily hotel budget and any additional information relevant to shape your Italian experience. That will be the starting point of your unique Italian adventure. What to see in the different destinations, including maps and walking tours – note that I will often refer to my posts, because they are good! Yes, you will get a similar, yet 100% personalized trip planning document if you subscribe to the Italy Travel Consultant service. Just keep in mind that I’m I am not a travel agent, so I can’t book hotel and services for you. However, I will tell you which are the best ones and you can book them yourself! As you can imagine, crafting a tailored Italy trip plan is a lot of work. After a pilot phase during which I offered this service for free, I received so many inquiries that I was forced to ask for a small fee. I use Paypal to handle the payments, and I will ask for a 50% down payment (minimum 50 €) before I start working on your trip plan. So what are you waiting for? Fill the form below to get in touch, free of charge, no commitment! I will answer to you by mail with my initial recommendations (that’s free of charge!). I will add the link to my Paypal account, in case you would like to get the full service. In case you don’t know yet which places you would like to visit in Italy, have a look at my Italy in 3 weeks itinerary. It covers most of the unmissable Italian destinations, so that you can chose the ones you like. What are you waiting for? Click here to fill the Italy Trip Planning form and get free travel advice! One word “amazing”! We will be traveling with my family to Italy in a few weeks. Jean-Pierre responded within a day and gave me a great itinerary that was family friendly. Thank you so much! Would highly recommend! Jean-Pierre, and his Delightfully Italy website, has fantastic information about Italy. His information was very helpful in planning our vacation to Rome. I asked him specifically about the catacombs and his recommendation was perfect. We took the hop-on hop-off bus out to the catacombs, took the tour of the catacombs, and even had time to have an ice cream while we waited for the bus to return. John-Pierre’s knowledge of Italy is wonderful. I would certainly recommend him as a travel consultant. Many Thanks Marty, I’m delighted you had a nice time! Jean-Pierre helped us plan a last minute trip last year, for our 25th wedding anniversary, and what an amazing trip it was. He responded right away with recommendations and favorites and adjusted his recommendations based on our comments. We certainly could not have found all the spots without Jean-Pierre’s help. 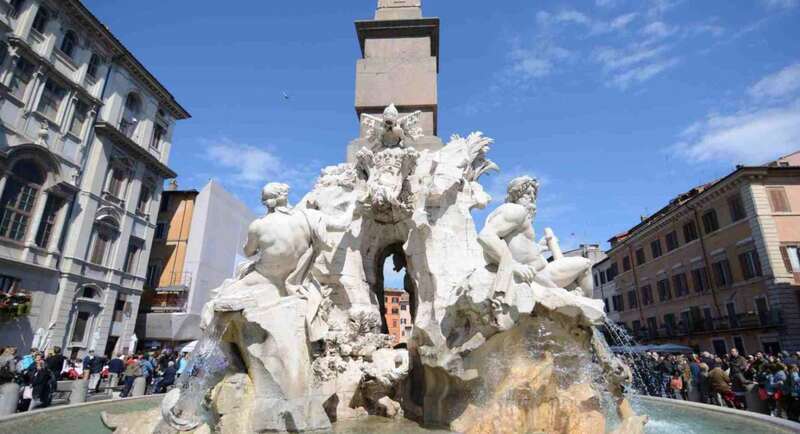 Our trip included a stop at Venice, Opera at Verona, bicycling trip beside a river, boating in Lago di garda, a stop in Florence and a trip in Tuscany, I would recommend Jean-Pierre without hesitation and wish I can find a Jean-Pierre for every trip we plan. JP was incredibly responsive to my queries before our trip to Italy in September 2017. He provided lots of options for our trip in terms of accomodation, transport and towns to stay. Thanks so much!! Jean-Pierre helped me draft a perfect 10 day itinerary for Tuscany in Sep 2017. I got in touch with him via his website and after filling in a form with the requisite travel details, he sent me a detailed powerpoint with links to suggested hotels, tourist attractions and recommendations for things to do, restaurants, etc. He also suggested alternative itineraries so that I had all the information at hand while making an informed choice. Because of his generous help, I was able to thoroughly enjoy my Tuscan holiday without any of the customary stress which is present in detailed planning. I highly recommend Jean-Pierre’s service and would take it up again for my next Italian adventure. Grazie mille! Anyone travelling to Italy should use his services. We received tailored a day to day itinerary based on the request we sent to him by email. Included were suggested hotels by town (with the links to reserve them), for each city there was a detailed list of the main things to do and see, Jean-Pierre’s personal recommendation for restaurants (ones he’s actually tried), plus the very important “Insider’s tips” the special touch that makes your trip even better. He doesn’t just take your suggested itinerary and run with it, he actually makes great suggestions on how to improve it, by highlighting what really should be seen to truly experience Italy. Many thanks Jean Marc, happy to know you enjoyed my travel directions! I am really overwhelmed with the kind of support Jean Pierre has provided , he has exxeexcel knowledge and is ready to really go that extra mile as a consultant and advisor. I recommend his services and he is very fair with his prices. Thank you JP for all your support during my 10 day Italy trip. Thank you Vishal, happy to have contributed to the success of your Italian trip! Hi Visha, I’m so happy to hear that you trip was a full success! Waiting for your next trip to Italy! We completely enjoyed our trip and credit Jean Pierre for his great advice and help. We were given an excellent and efficient outline for the 12 day trip. Our loop started and ended in Milan and included a wonderful assortment of towns and experiences. A few days in the Tuscan hill towns was great – so pleased that we did that and overcame our fear of driving in a foreign country! The pace of the trip suited us as did the accommodations JP recommended. Give him an idea of your goals and energy level and I think you’ll be pleased with his suggestions. Example: we told him that we are 2 retired couples interested in art, history, food, culture and dolce vita. He suggested an itinerary and we took it from there using his blog articles and some research on our own. If you are the type that needs focus to get things started- start here. The Garretts and the Icards.